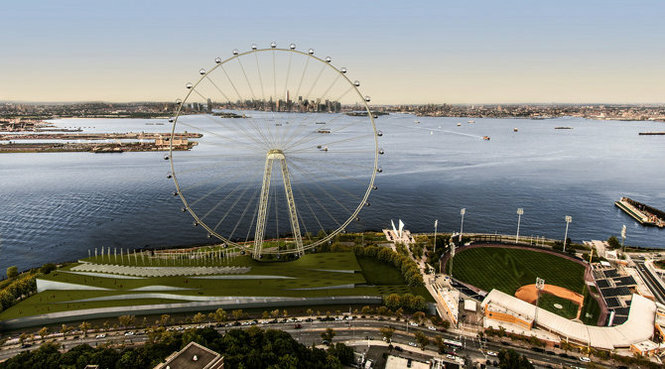 The world&apos;s largest Ferris Wheel — four times the size of the one at Navy Pier — is being planned for a shoreline site on New York&apos;s Staten Island, according to the New York City&apos;s mayor&apos;s office. The 625 ft. tall wheel would have views of Manhattan and would feature an outlet mall, retail and a hotel. The mayor&apos;s office said private funds were being raised to finance the $230 million project. The "New York Wheel" is expected to hold more than 1,000 passengers. Construction is scheduled to begin in 2014. In an Associated Press story on the wheel&apos;s announcement, Sen. Charles Schumer of New York said the big device would be "Staten Island&apos;s Eiffel Tower." "This is a very big wheel," NYC Mayor Michael Bloomberg said during its announcement last week. The idea was among proposals the city solicited for the site. Good luck to the Big Apple. But Chicago did the same thing — even referring to the Eiffel Tower as comparison, 119 years ago. The Ferris wheel debuted here as a signature piece of the famed 1893 World&apos;s Fair. Built in the fair&apos;s midway — the present day Midway Plaisance that runs past the University of Chicago campus — the spinning 264 ft. colossus was only about 40 ft. shorter than downtown&apos;s Masonic Temple, then world&apos;s tallest building. After the fair, the wheel was dismantled and reassembled at Clark and Wrightwood where it was to be the titular attraction of the planned Ferris Wheel Park, a venture not unlike the one planned for Staten Island. The park would have included a theater, restaurant and other attractions, but it never materialized. 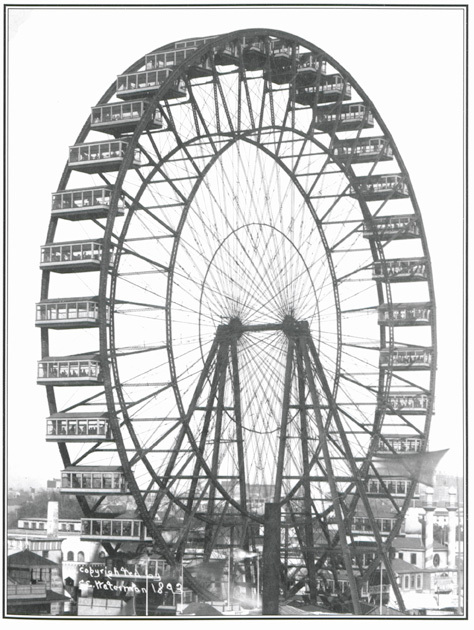 The wheel was re-erected in 1904 for St. Louis&apos; world&apos;s fair, the Louisiana Purchase Exposition. The engineering marvel sat abandoned for a year after the fair closed. It was demolished in 1906, courtesy of 200 lbs. of dynamite. But the wheel&apos;s allure remained. For more than a century after its destruction, the Ferris Wheel has become a mainstay of carnivals, fair grounds and amusement parks across the world. The 541ft. Singapore Flyers is currently the world&apos;s largest Ferris wheel. The 150ft Navy Pier Ferris Wheel is the 9th largest wheel in the U.S.